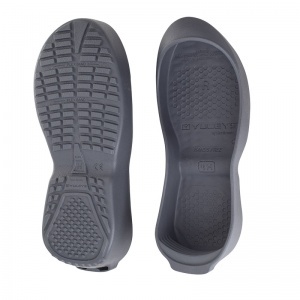 The Yuley TPR Reusable Rubber Over Shoes YxxGRY are unique in that they are long-lasting, meaning you will not have to incur the cost, both on your wallet and the environment, of constantly replacing disposable shoe covers. 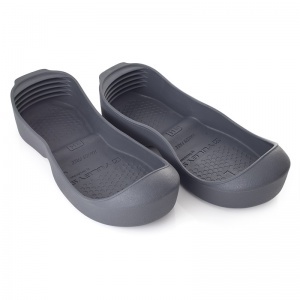 Designed for easy slip-on, hands-free application, these reusable overshoes are ideal for use across a range of industries, and go above and beyond standard boot covers. The Yuleys TPR Shoe Covers are a fantastic alternative. Suitable for use across a variety of industries, these rubber overshoes can be simply slipped on and off to prevent dirt from your outdoor shoes contaminating an environment. Locking in to place, you will no longer have to keep bending down to remove your fiddly disposable shoe covers. This is great for when your hands are full, and is also better for your back. The Yuleys TPR Safety Shoe Covers have been designed specifically to reduce the cost, environmental effect and hassle of disposable shoe covers, across a range of industries. They are ideal for use in any environment where you wish to prevent cross-contamination and the spread of dirt via your shoes. 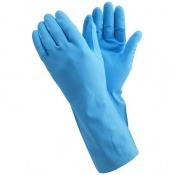 Similarly, the Yuley TPR Shoe Covers can be really useful for plumbers. 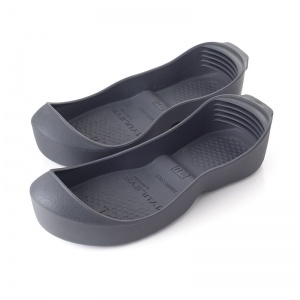 Whilst disposable shoe covers can easily get wet or torn and need to be changed, the Yuleys are made from rubber. This makes them durable, preventing leaking, saturation, ripping and tearing, ideal for use in industries such as plumbing or construction where wear, tear and moisture is likely to occur. The Yuleys TPR Shoe Covers are available in the following sizes: A, B, C, D, E, F, G, H and I. If you are in any doubt about your sizing then please contact us on 020 7501 1104 beforehand. 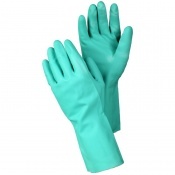 The Yuley TPR Reusable Safety Shoe Covers arrive as a single pair.